Life is strange and so am I. In my previous post, we went over how to get Google Authenticator installed on FreeNAS. Then we setup SSH to use it. In this guide, we’ll get Multi-Factor Authentication working for OpenVPN. This guide will be specific to FreeNAS, but should be applicable to FreeBSD as well. Go see my previous guide on getting Google Authenticator installed. Configure OpenVPN to use both certificates and an OTP (one time password) provided by Google Authenticator. 1. Open a terminal either through the GUI or ssh. 2. Switch user to root. 4. First we need to create an entry for openvpn under /etc/pam.d This will tell OpenVPN that authentication with the pam_google_authenticator.so module is required. Also need to remember to copy this file to /conf/base/etc/pam.d so that our change will survive a reboot. 5. Check to make sure the permissions are correct on the pam_google_authenticator.so module. sshd doesn’t seem to care, but OpenVPN does seem to care. Side note, there are several guides written for Linux that say you have to modify the MakeFile with LDFLAGS=”-lpam” when building the pam_google_authenticator.so module. That is NOT the case in FreeNAS / FreeBSD as the port takes care of that. 6. Now we need to add a few settings to our OpenVPN server config. If you followed my guide on setting up OpenVPN on FreeNAS, your server config is on your data drive. Change the part after the “>>” to match your setup. 7. Now, on your client computers, you need to add the following to your openvpn-client config. You can just add it at the bottom. 8. Now restart openvpn on your FreeNAS box. 9. Make the filesystem read only again. 10. Fire up your VPN connection on a client computer and you should get a field that asks for a username and password in order to connect. Is all of that account stuff really needed? My hunch is that it is not. If you have any insight, please share it in the comments section. Multi Factor Authentication is a useful way to tighten the security of your system. Having it in place means that attackers can’t simply brute force your password, they need to steal your Hardware Authentication device as well. In the case of Google Authenticator, that means stealing your phone. 1. Open a terminal either through the GUI or ssh. 2. Switch user to root. 4. Install the libqrencode. This is optional, but is a nice feature as it allows you to “scan” a QR code from the terminal with your smart phone. 7. Switch your user to the user you want to have two factor authentication. Then run google-authenticator. If you want to be all fancy, add the -l option and then a quoted string. Without that, when you scan the QR code into your Google Authenticator app it will display with an email@host description. You can also add the user name at the end if you like. 8. Scan the QR code that was generated into your Google Authenticator app on your smart phone. 9. Repeat steps 7 & 8 for all the users you need to set up. Part II. Doing something useful with Google Authenticator. Let’s go ahead and add two factor authentication to SSH. There are several things we need to do to get that accomplished. The quick overview: 1. Make some config changes to sshd_config, some easy, some not so much 2. Tell PAM about the Google Authenticator module and how we want to use it. 3. Your homework is applying the concepts from my post on getting hacks to survive upgrades. Before we do any of that, we need to decide how we want to implement this. In my mind, it makes sense to initially allow users to login to ssh with a public key and either a Google Authenticator code or their user password. This will allow some time for everyone to get set up without any of them getting locked out. 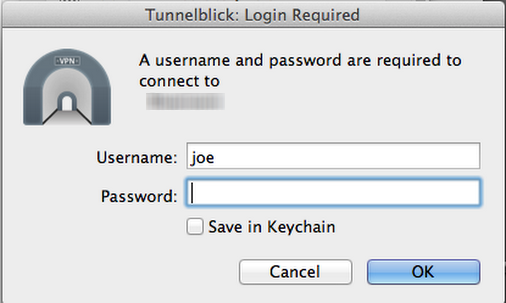 Eventually, I’ll probably switch it to require a public key and just the Google Authenticator code. The decision we make here affects how we set the sshd_config parameter AuthenticationMethods, as well as how we configure /etc/pam.d/sshd. For a more in-depth explanation of the options that AuthenticationMethods offers, please see: http://lwn.net/Articles/544640/ For a full explanation of setting up the PAM module in /etc/pm.d/sshd, please see: FreeBSD Man Pages I’ll show you how I have mine set up. 10. We need to make some configuration changes to sshd. One we can make in the terminal, the other we need to do in the FreeNAS gui. a. Now go back to the terminal, make sure you are root. We need to change the sshd_config file in three places. We are making the same change in all three places. Change the no to yes. To do that in vi, put the cursor over the n in no. Hit “x” twice. Now hit “a” then type “yes”. Hit the esc key to exit insert mode. type “:wq” to write it and quit. Do not type any of the quotes. There is a chance that in future releases all of that will become an option in the gui. c. Under Services, click on Control Services. Then turn ssh off and then back on. If we did everything right, it should start right up. We should run cat on the file to make sure it turned out the way we want it. 12. Now go read my article about getting hacks to stick and survive upgrades. Apply that logic to this hack and enjoy Multi-Factor Authentication even after system upgrades. 13. Change the root folder back to read only. Make sure to also check out my guide on getting OpenVPN working with Google Authenticator.